Do you ever think about how much water you use? Other than our bodies being a bit more than 70% water, we consume and soak in water on a daily basis. Most of us seem content that the water from the public water supply is good enough for our daily hygienic habits. Addison Township well driller, Ries Well Drilling, thinks that the Macomb and Oakland county communities are getting a little too comfortable with the fact that chemicals, metals, and other materials can be in our water. Here are two water based activities that are more enjoyable with clean, filtered well water. We rush through these activities daily because our day has already started. During that rush, you may not be thinking about the quality of your water, let alone what’s in it. In your mind, there are more important things to worry about. After all, you just need to get clean and then get out so you can get on with your day. 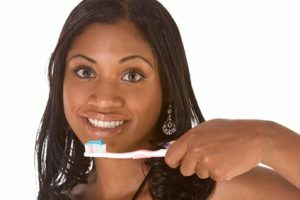 However, as you are going on with your day, you might feel clean, but tiny fragments of metal may be in your hair or mouth, like iron or zinc. There may even be other chemicals you don’t want in your system, like chlorine. The repetitive exposure to these materials can be a concern. When you have a well water system installed, you’ll have a filter that makes sure the water throughout your house is “soft“. A filter will be applied so no metals or other harmful substances are flowing through your pipes. The cleaner the water, the more peaceful your hygiene habits will be. If you’re an enthusiastic cook, you’ll want to pay attention. “Hard” water, as we call it, can affect the taste and even the smell of your food. Throughout our time working with water well drilling installations, we’ve seen Macomb county homes with water that either smells or looks dirty. Sometimes water can have a rotten egg smell, meaning sulfur has collected in the water. The water can also change to a yellow/green color, which means a collection of iron has made its way into your water source. Could there be anything more repulsive than green, smelly water? With a water well system, this will not be an issue. An Addison Township water well installation comes with a water test to make sure the water we found for your home is safe to drink and cook with. We’ll check for color, smell, acidity, and more. Work with an efficient water well system installed by a reliable water well drilling company in your area. Once their work is finished, grabbing a cool glass of water or preparing a meal for the family can be done safely. 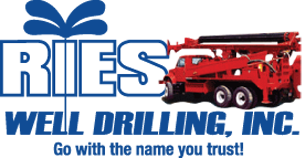 Call Ries Well Drilling Inc., an Addison Township well driller, today to discuss the benefits of a water well at your home. Our water-based activities should be stress-free, but sadly, there’s no way it could be if the water system isn’t taken care of. If you want some peace of mind, contact Ries Well Drilling Inc., an Addison Township well driller today to discuss how you can have your own water well system.